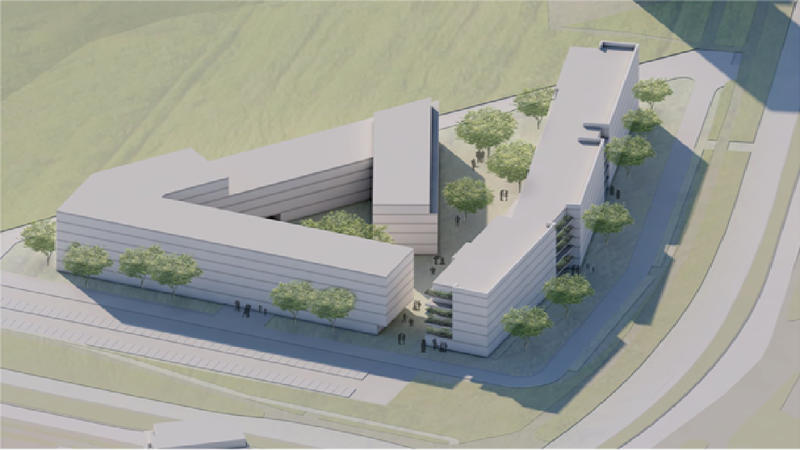 Perlo | HOCHTIEF Development Poland sp. z o.o. Senior complex to be built in Ursynów will meet the latest worldwide trends of creating medical services with the use of synergy of specialist entities providing various medical and care services. It involves providing the clients/patients with holistic and comprehensive care – from consultations, through diagnostics, treatment, rehabilitation and permanent care, where necessary. Another worldwide trend is to introduce a healing environment to hospital care, which is called therapeutic space in scientific literature. It involves a set of guidelines for designing medical space so that it would support treatment processes. Such principles mainly mean providing home-like atmosphere and contact with the so-called normal life, i.e. participation in family and social life, and staying out of bed, in the hospital common areas, cafes and restaurants. Other services include hair salons, beauty parlors, movie theater, theater, shopping experience and even remote work, which will greatly improve patients’ well being and contribute to their will to get better.The project is currently at the concept stage.